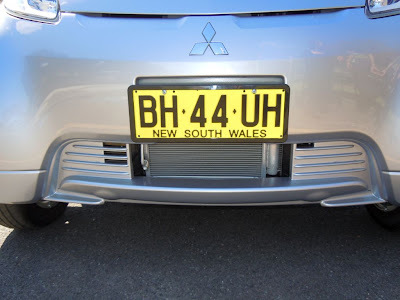 Malcolm Faed's Blog: Photo essay of the Mitsubishi iMiEV elecrtric vehicle. 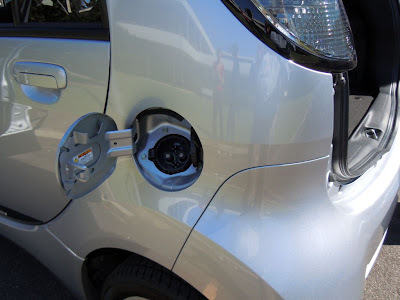 Photo essay of the Mitsubishi iMiEV elecrtric vehicle. Below are photos of our newly delivered Mitsubishi iMiev. Starting from the front, The headlights are HID. The small exposed condenser is for the air conditioning. 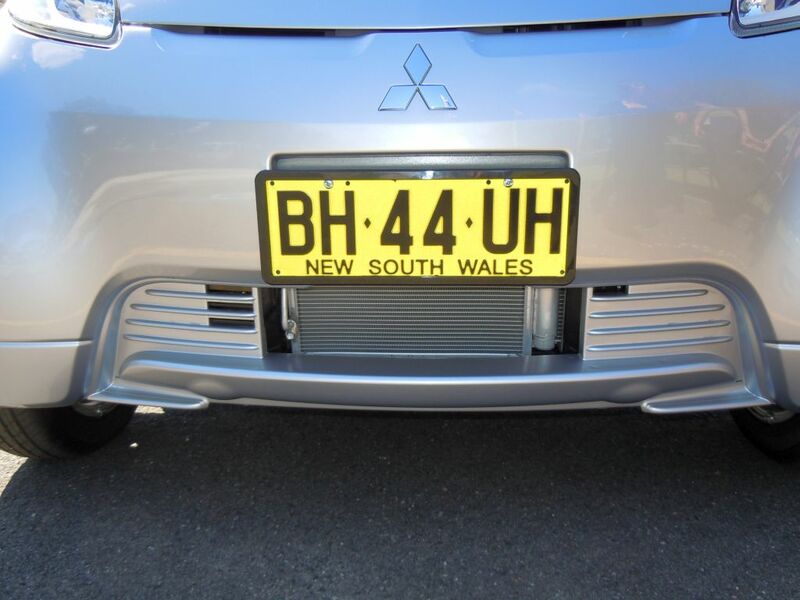 The heater uses an electric water heater rather than reverse cycle air conditioning. Due to the the windscreen geometry, there is a single wiper to clear the entire windscreen. 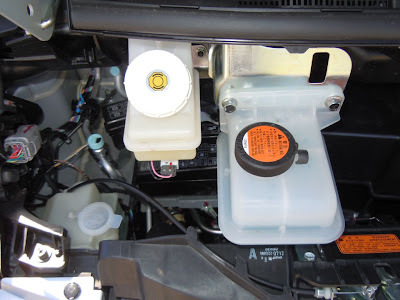 What little electric vehicle maintenance there is consists of checking 3 fluids. On to the interior. There is plenty of room for these lads. Obviouisly no center console but this is made up for a lot of headroom for a small car. The dash cluster is quite sparse. 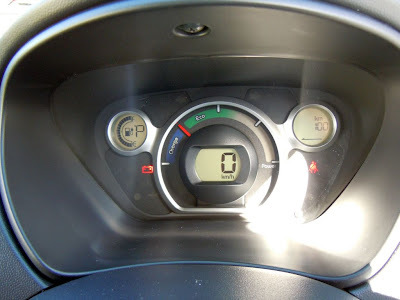 Center: Digital speedometer surrounded by economy gauge. Blue means regeneration. Green to white indicates more energy usage. 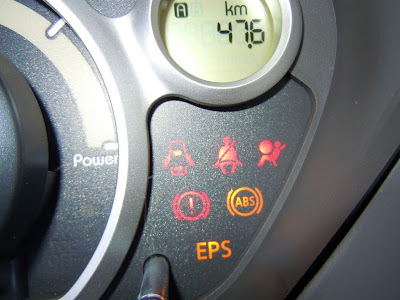 There is a bunch of warning lights to the left and right on th elower edge of the dash cluster. On the left there is Battery (presumable dc-dc converter), limp home, traction control, 'engine' fail. These appear momentarily when turning the key on. 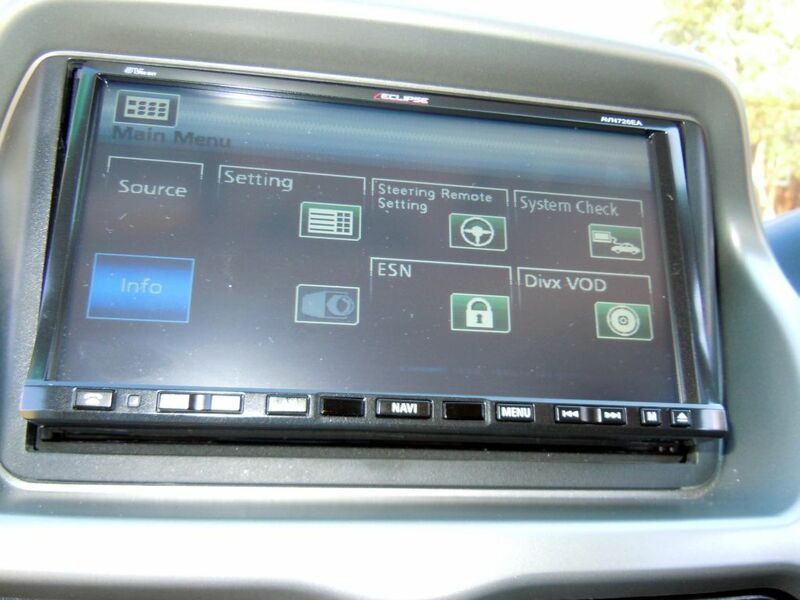 The stereo system has a nice touch screen, but unlike the Prius, does not proved any vehicle integration. It would be good to have nerd mode to show battery volts, current, power, torque, trip computer. 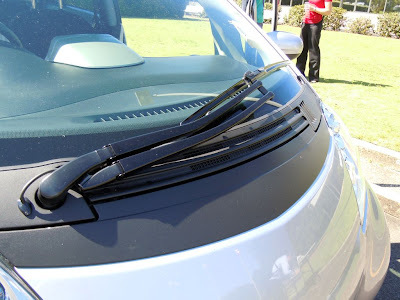 It does have bluetooth hands free for your phone and also a navigation system. In the glove box there are RCA connections for an ipod of DVD / game console (Left Right and Composite video). 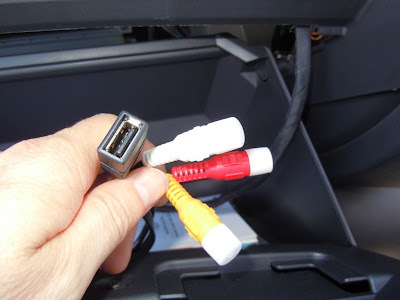 There is also a USB socket for a memory stick or hard drive. I havnt tried it yet, but the stereo seems to have a Divx decoder built in. 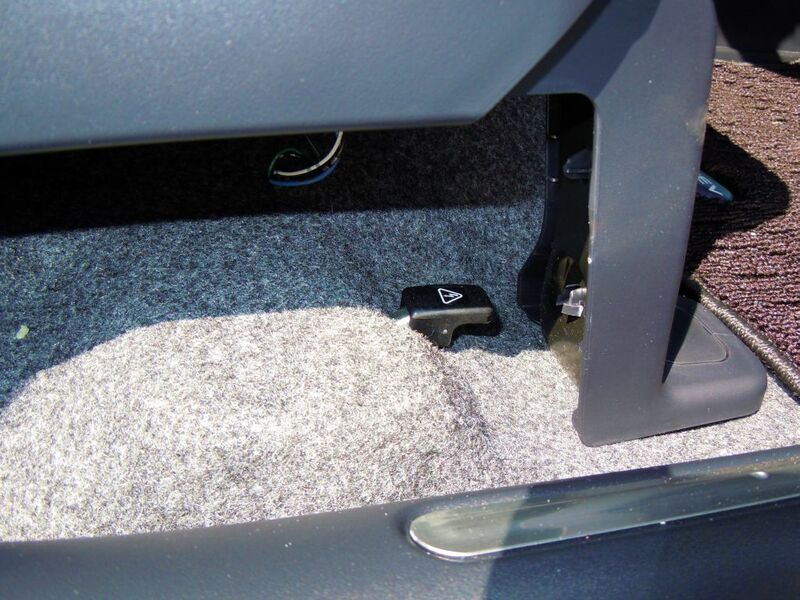 the pedal box is compact and seems comfortable enough. I have to wonder why there is a block of polystyrene to the right of the accelerator. 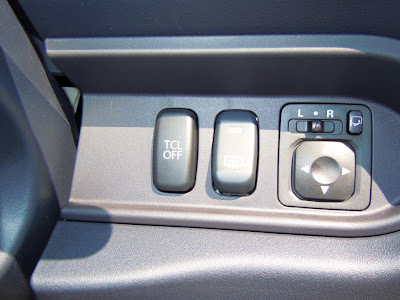 To the right of the steering column are a TCL disable (Traction control). 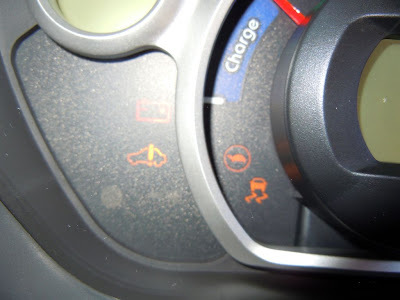 not traction control is required on all new cars from 1 Jan 2011. Next there is the read demist, and the electric mirror control. The gear selector has 6 positions. 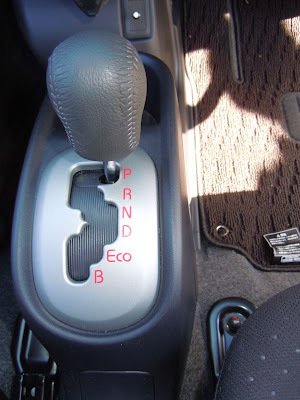 E: Economy. Same as drive with lower power limit. 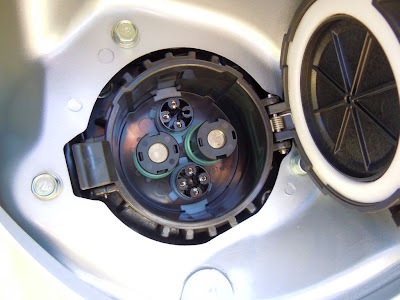 B: Same as Drive but provides more regenerative braking. 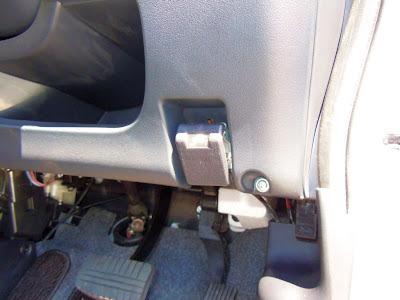 Next we have the charge socket cover release lever. 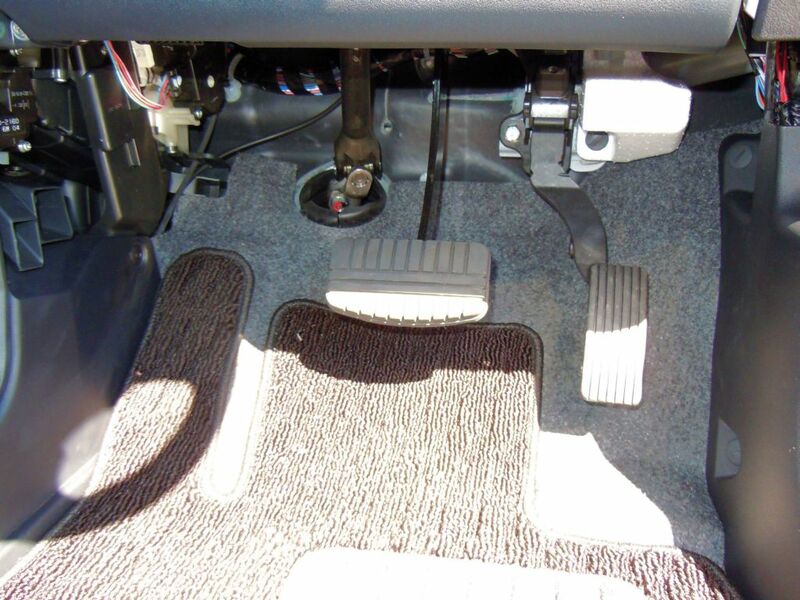 To the right of the drivers knees is a pull leaver that opens the 15A charge socket. 15A charge socket on Right rear of vehicle. Under the drivers seat is the fast charge socket cover release. 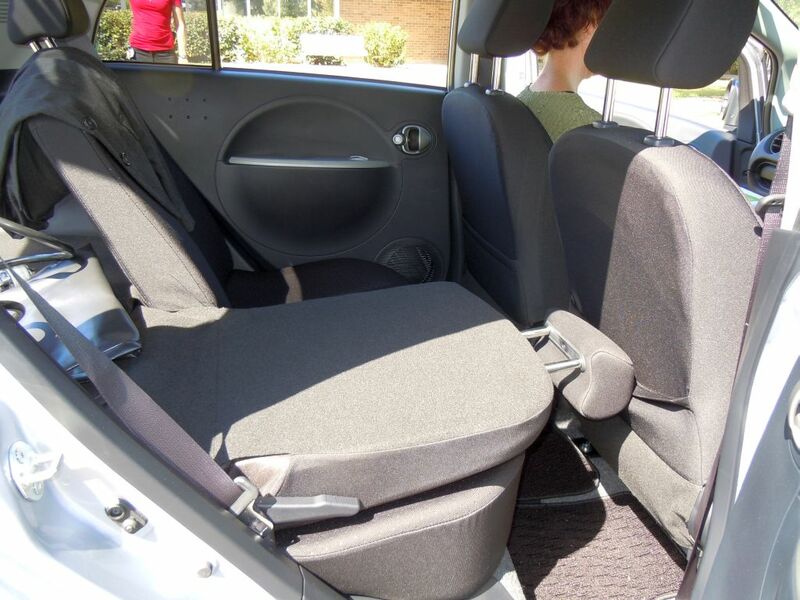 The rear seats fold down to increase luggage space. the floor behind the rear seats is quite high in order to accommodate the inverter and charger. To be continued: The next write up will be the test drive.